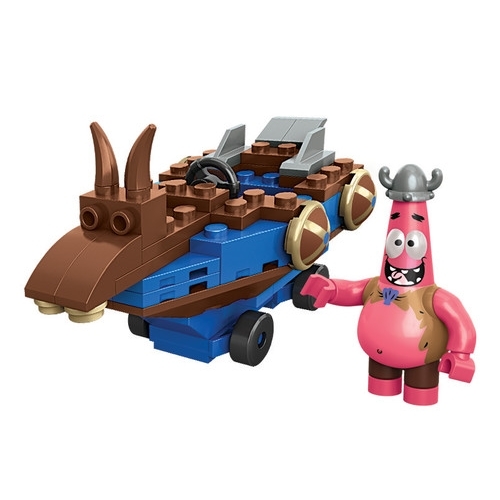 Product Detail Summary: Zoom on over to the Krusty Krab with the Patrick Racer by Mega Bloks SpongeBob SquarePants. This boat is easy to construct and ready for all kinds of undersea adventures! Patrick can snap on his silly hat and cruise on over to SpongeBob’s for an afternoon of boat-racing fun. You can collect them all to build your own Bikini Bottom world! Ideal for ages 5 and up.